This fall, young girls in China's southern Guangdong province will be learning a new subject in school: how to avoid becoming a mistress. Although Chairman Mao kept a stable of women at his disposal, extramarital peccadilloes were frowned upon during China's more fervent socialist years. But as economic reforms have helped Guangdong become one of the nation's wealthiest regions, the province has been beset by a flood of ernai, literally, "second breast," as mistresses are commonly known in China. 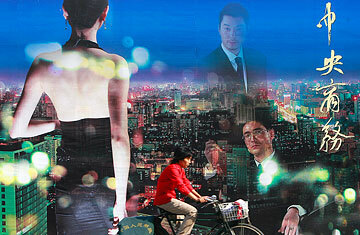 In 2007, Guangdong passed a piece of legislation that outlawed the keeping of mistresses, but wasn't able to enforce it. The provincial government's new solution is a pioneering "female education program" across elementary and high schools that aims to teach girls to depend on themselves — not sugar daddies — for their future. "The education will focus on self-esteem, self-confidence, self-reliance and self-improvement," Lei Yulan, vice governor of Guangdong, told a symposium when the initiative was announced in March. But Li Yinhe, a researcher at the Institute of Sociology at the Chinese Academy of Social Sciences (CASS), says that education alone will not be the answer to a problem so deeply ingrained in Chinese culture. "This is a social custom, and it's well known that social customs are the hardest to change," Li says. "In traditional society, people believed that the more wives a man had the more successful he was. Now this tradition has found room to grow again." Throughout China's dynastic history, keeping mistresses was not only tolerated, but actually had the official seal of approval from the men at the top. The country's emperors maintained legendary harems of concubines, as did noblemen, wealthy merchants and anyone seeking to enhance their social status. Indeed, the country's most famous classic novel, Dream of the Red Chamber, relates the story of an imperial concubine in the Qing dynasty who supports her entire family, including its own numerous concubines, thanks to the emperor's patronage. That historical context has perpetuated the notion that having a mistress equates to having status and power. Now, in today's status-hungry China, keeping a mistress is once again the fashionable thing to do. In some cities, an entire ecosystem has sprung up to support the ernai industry. A recent online exposé revealed an ernai agency in Shanghai that provided a menu of potential college-student mistresses for men willing to pay. The annual maintenance fees ranged from just $3,000 for students in less renowned schools to about $26,000 for students from the best campuses. That well-educated young women would be willing to forgo their careers to become ernais is, some argue, an example of the worst excesses of China's newfound fixation with the trappings of wealth. The trend also undercuts the country's socialist commitment to ensuring that women and men are treated equally in the workplace. What does it say that a young woman with a degree from an elite school could be just as likely to choose being a kept woman as a rising academic? In China today, the search for a partner is often not inspired by love — but driven by a stark financial calculus. "I'd rather cry in the back seat of a BMW than smile on a back of a bike," is the common attitude of a certain segment of young girls when they are looking for wealthy partners. On the country's most popular online-dating sites, women cannot search for potential mates by common interests or hobbies, but they can select whether they require their prospective partner to have a house and a car, as well as the minimum salary level they would find acceptable. At the same time, the booming economy means that many men now have the financial clout and disposable income to support another lover. "Economic growth has made some people rich, so they can afford to spend money on more women — especially since they have this traditional idea that having more women equates to being more successful," says Li. And With more and more women willing to play the game, social mores are shifting. While throughout the centuries men who kept mistresses have consistently been regarded as successful, attitudes toward the women who serve those men have become noticeably more lenient in recent years. No one typifies this better than pseudo celebrity Li Wei, the self-styled "Queen of Mistresses." Arriving in southwestern Yunnan province as a penniless refugee from Vietnam, Li managed a series of affairs with ever more senior politicians. She then parlayed her charms into a vast empire of property and stocks. When it inevitably all came crashing down, Li cut a deal with prosecutors and turned in her many past lovers for lengthy sentences, while she herself served just a short sentence and emerged with most of her wealth still intact. Her conquests included Li Jiating, governor of Yunnan, and after Li was jailed, Du Shicheng, Communist Party secretary of Qingdao, who enabled Li to make a fortune from Qingdao's role as a host city for the 2008 Olympics. Yet for all her corruption, deceit and treachery, Li has earned as many admirers among the Chinese public as she has detractors. Some delight in the power that a commoner wielded over corrupt officials, while others respect her for having made her way to the top from humble beginnings. "If she only had a pretty face, and nothing else, there is no way she could have tempted all those officials," said one poster on popular online forum Tianya. "She must have had something that other girls didn't — maturity, tolerance and knowledge." With respect for ernais on the rise, and attitudes toward cheating men unchanged through the centuries, CASS's Li argues that focusing on female education alone is not going to solve the problem. "You can't only educate the females and expect to solve the problem. Why not educate the men as well?" she asks. "After all, they're the ones who go looking for mistresses."